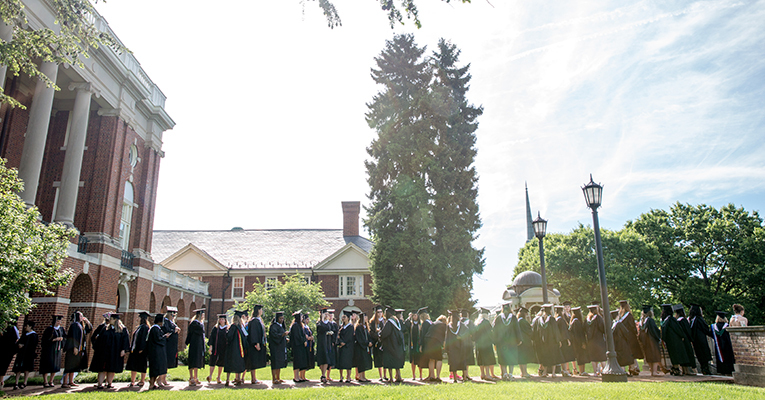 The Class of 2016 lines up for Sweet Briar College’s commencement ceremony. 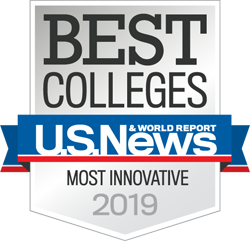 A week after winning Forbes’ #MyTopCollege contest in the small-schools category, Sweet Briar has another reason to celebrate. Forbes’ just-released 2017 America’s Top Colleges list, which includes 650 institutions, ranks the women’s college at No. 313. Sweet Briar came in at No. 216 among “Private Colleges,” No. 117 among “Liberal Arts Universities” and No. 63 in the “South” category, beating out many other small (and large) colleges in Virginia. This time, the ranking is based on hard data, not online votes. But, as Forbes points out, it’s the data that matters to students. According to Forbes’ methodology, the Top Colleges ranking — now in its 10th year — has always focused entirely on the direct benefits a college or university provides its students. And that is where Sweet Briar ranks high. According to LendEDU, it is the No. 9 school in Virginia for “Lowest Student Loan Debt at Graduation.” Even better, recent surveys show that more than 90 percent of Sweet Briar students are employed or in graduate school six months out. While the Top Colleges ranking is a pretty good indicator of a school’s value, there’s more to choosing the right college, Forbes says. With 3,250 acres, Sweet Briar is the fourth-largest campus among liberal arts colleges in the U.S., and it consistently ranks among the most beautiful. While nothing can replace a personal visit, prospective students are encouraged to check out the College’s virtual campus tour for a sneak peek.